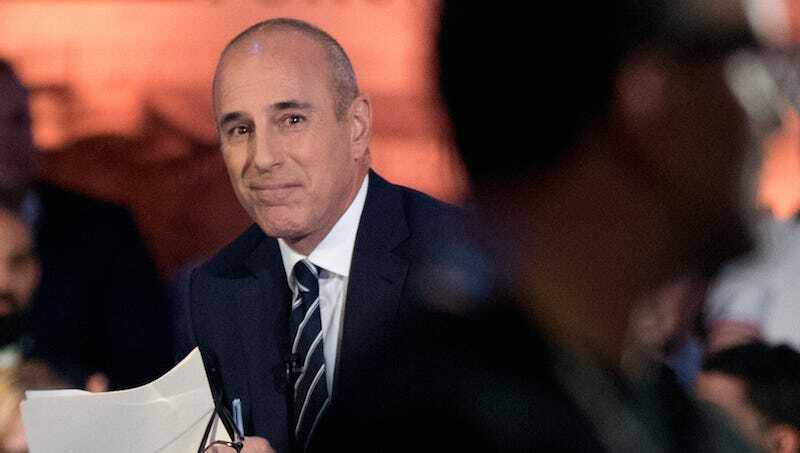 Matt Lauer’s moderation of NBC’s “Commander in Chief Forum,” was by and large disappointing to viewers who hoped to see him push back on Trump about anything or ask Clinton about much beyond her email server. Inside the network, executives tell CNN anonymously they also think Lauer was extremely bad. Lauer struggled to find a balance in his thirty-minute interviews with Hillary Clinton and Donald Trump. He spent a significant portion of Clinton’s interview discussing her use of a private email server, later urging her to answer “briefly” when an audience member asked her about what she would do to stop ISIS. His interview with Trump played out much differently. As critics point out, he allowed himself to be steamrolled by Trump and failed to identify a blatant lie Trump made about his support for the Iraq war. Today has not been kind to Matt Lauer, who has only Brian Williams to feel superior to now. Oh my god, he’s going to be stuck on the Today Show forever.